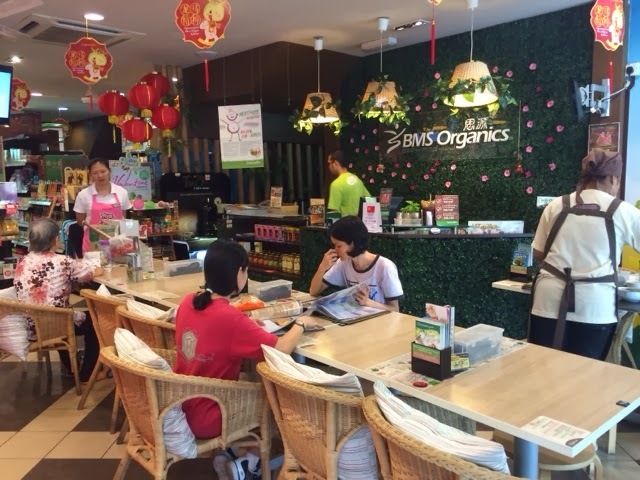 My quest for organic places brought me to this one in Damansara Utama (Uptown), where one can find rows of different restaurants. I saw this place often as I drove by, and this time I was happy that I could finally try it out. Upon entering, you will be welcomed by the "greenery" decor of the place. The staff are friendly and they have an extensive menu of food choices! 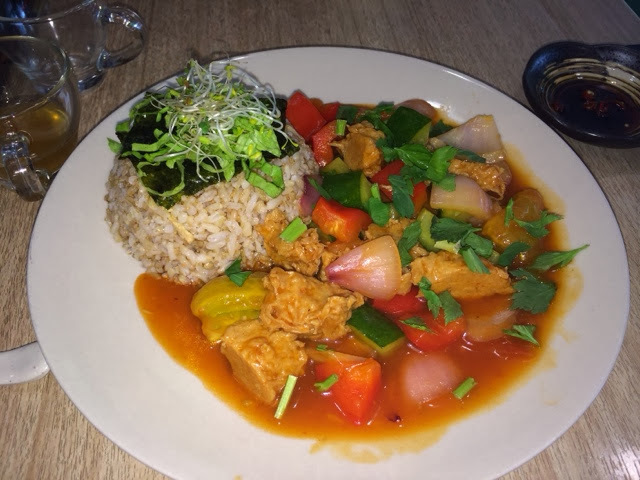 We tried their tofu and the sweet and sour "chicken". It didn't disappoint. 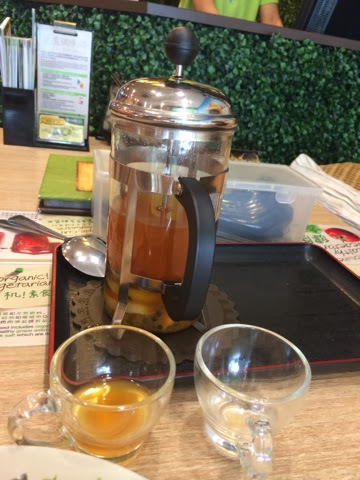 The fruit tea was also nice. 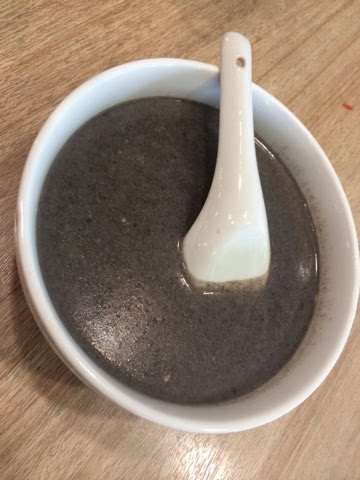 We also tried their dessert, the black sesame paste. It wasn't sweet (or maybe because I have a sweet tooth? 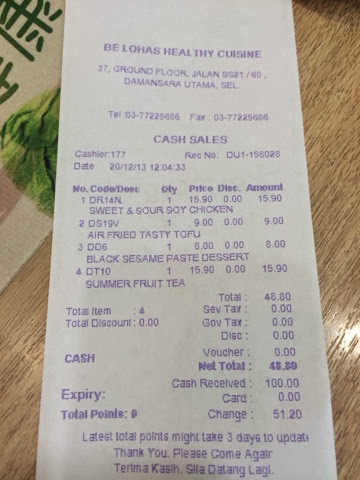 ), so we had to request for additional sugar. It was disappointing though that they didn't have honey nor brown sugar... so I had to just accept the white sugar and added it in. 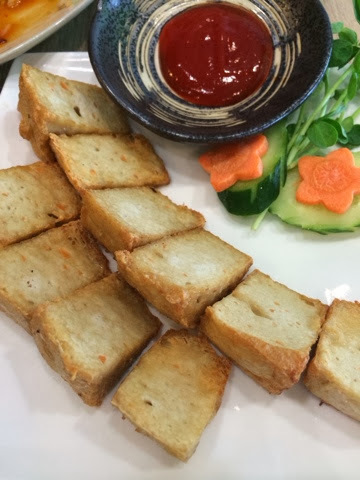 One of the highlights for me was purchasing their "pumpkin" tofu in the frozen section. After we cooked it at home, I discovered how tasty it is! I really would like to go back and buy some more of that. It is so convenient as it is frozen. You can defrost it and stir fry or fry it... or even add to dishes. They have many flavors of it, which I am keen to try. Overall, nice place. Wish they had one in Mont Kiara area.